Justin Lombardo is a lifetime local who grew up in Gulf Breeze with his parents and 2 older brothers. He is Currently a resident of Pace Florida with his wife Rachelle and 3 year old son Colton and 9 month old son Koda. He grew up in the family construction business and had a natural ability and skill set. He worked for the family business starting when he was 12 years old and continued until he was 24. He wanted to try something different and picked up knowledge in sales, banking, loans and fraud prevention. In this time he continued his love for creating and construction by continuing custom projects and renovating east hill homes. Justin will take his knowledge of the construction industry combined with his skills learned in the corporate industry to lead successful projects for your residential needs. Our team has over 40 years combined experience making homes more livable by improving outdoor spaces. We’ll asses your entire outdoor living area from the ground up, discuss the possibilities of adding an outdoor kitchen, pool area, patio, fireplace, pergola or retention wall. We will give you an honest quote complete with a job timeline so you know what to expect. 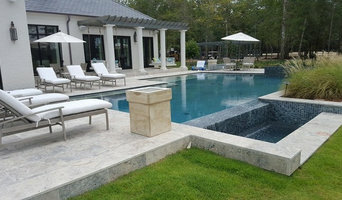 Because we’re a trusted contractor in Alabama and Florida, you know your new, beautiful outdoor living area will provide years of functional enjoyment at a price you might be surprised you can afford. An outdoor living space is simply a great, cost-efficient home improvement. 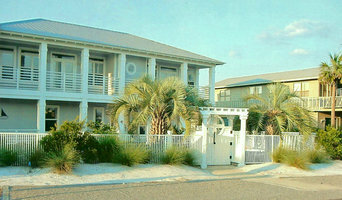 On the Gulf Coast you can enjoy these spaces for three out of four seasons. And you can enjoy them for years to come.The possibilities for creating a custom outdoor living space are endless and limited only by your imagination. Call Outdoor Hardscapes today to get your free onsite home assessment. Landscape Contracting Company providing Design Build and Installation for Residential and small Commercial projects. We asked our customers this question: What do you need? Time and time again, they said: “make it easy for us to have manicured lawns and beautiful landscapes that stand out and add value.” We promise to deliver manicured lawns and beautiful landscapes that stand out. We call it Make An Impression and it is a lot more than a slogan. Make An Impression is our Promise. And all our associates make sure we deliver on it. All our associates are trained in the Landscape Management Certification Program from Auburn University. Our management and supervisors as well as many of our associates have been tested and are certified by the program. But training is just the beginning. Keeping our Promise is the application of the training. To involve all associates in using their training to Make An Impression on our clients and their visitors, our field associates use a comprehensive checklist to review each job before and as they work. They identify opportunities to Make An Impression from picking up even small pieces of trash before mowing to using the right mower for each situation. When they identify opportunities that require additional services, they notify clients. But that’s not the end of the story. Associates who help to Make An Impression are recognized internally and their efforts are posted on our web site and social media. They are the heroes in our company. Look for examples of their work on our Making An Impression link. Licenses include landscape designer, contractor, ornamental turf, pest supervisor, fertilizer application and pesticide application. All Phase Properties, Inc is a one stop destination for all residential & commercial landscape maintenance & construction needs with over 10 years of experience in the Mobile/Baldwin market. Our goal is to operate professionally, treat your time & property with respect, do what we say we're going to do, & make every interaction a chance to exceed expectations. As state licensed landscaping & irrigation contractors we have the experience & knowledge to handle all of your project's needs from sodding/planting to lighting systems to hardscapes & outdoor living spaces. We also offer monthly lawn maintenance plans, turf management programs, irrigation system maintenance programs, annual landscape enhancements such as straw, mulch, & annual flower plantings to keep your property in tip-top shape! B&C Nursery is a full line retail nursery so you can pick out the plants that you want to install yourself or let us design and install your landscaping. We offer landscaping and lawn maintenance services for both residential and commercial. B&C Nursery has a landscape solution that is perfect for your unique needs. Call us today to schedule an appointment so you can enjoy the outdoors….without the work. You can also check out Pace’s largest full-service nursery, stocked with hundreds of trees, palms, plants, pottery, birdbaths & fountains. While you’re here, let our experienced and informative plant specialists help guide you through the selection process to make your landscape dream a reality. Martiniere Landscape & Design is a Design & Build firm specializing in custom upscale landscaping, hardscapes, outdoor kitchen areas, water gardens, irrigation, drainage retaining walls, and sitework. Tommy Martiniere started in the landscaping industry in 1997 and continues to produce top quality jobs in the Southeast. We are your one-stop shop for your outdoor and interior remodeling needs. We’ve been helping our neighbors on the Emerald Coast since 1994 with home additions, including sunrooms, pergolas, patios, walk-in tubs and more. Our custom design service from our professional designers is always free to you, so take advantage of our expertise and call us today to discuss your new home improvement project. What We Do: We specialize in everything from screen rooms and patio covers to deck repair, bathtub replacement, and more for residents in Pensacola, FL and the nearby areas. We also specialize in accessibility products such as ramps, lifts, accessible showers and other products. Give us a call today! 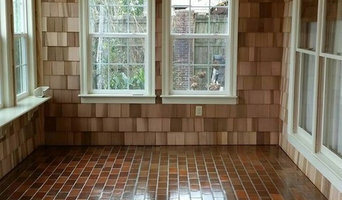 Let Pensacola's number one Home Improvement Company Foweler Construction help you. 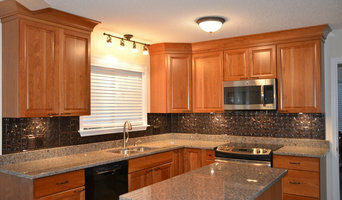 Call and speak to one of our skilled team about your remodel. We specialize in Fencing, Decking, Windows, & Sunrooms and have been providing great service for the past 15 years. Located in Pace,Fl. We will tackle your home improvement project today! We are a residential contracting company with a focus on backyard and patio creations. Our experienced staff will help you design and create decks, enclosures, outdoor kitchens, patios and more! 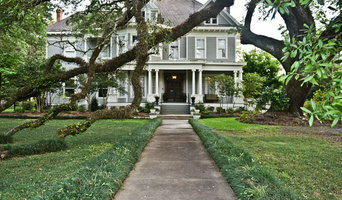 Incorporated since March 1983, Gulf Coast Landscape, Inc. has been in business for 30+ years. We specialize in large, up-scale site development projects, including condominiums/apartments, beachfront residential developments, and shopping centers. Our work area includes Southern Alabama, the Mississippi Gulf Coast, and the Panhandle of Florida.